I started writing this book out of high school several decades ago. I almost signed a contract for it with a small publisher in the mid-90’s but backed off due to the terms. Since then I’ve toyed with writing off and on but decided to re-write the book and get serious about writing several years ago. 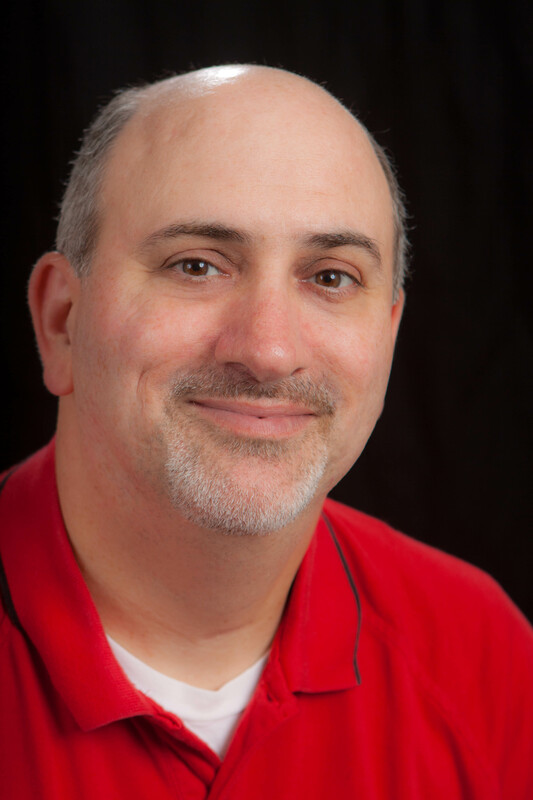 The Bow of Destiny is my first novel-length book. I previously published a short story, The Black Bag, as an e-book. Q. What genre do you enjoy writing the most and what is this book about? I enjoy fantasy the most so that’s what I write. 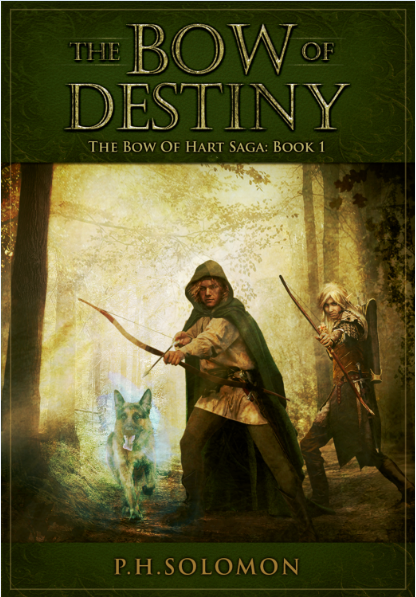 The Bow of Destiny is an epic fantasy whose main character, Athson has seen things that aren’t there and suffered fits since being tragically orphaned as a child at the hands of trolls and Kregen the wizard. When a strange will mentioning a mysterious bow comes into his possession, he’s not sure it’s real. But the trolls that soon pursue him are all too real and dangerous. And what’s worse, these raiders serve Kregen and his master, the hidden dragon, Magdronu, who are responsible for the destruction of his childhood home. 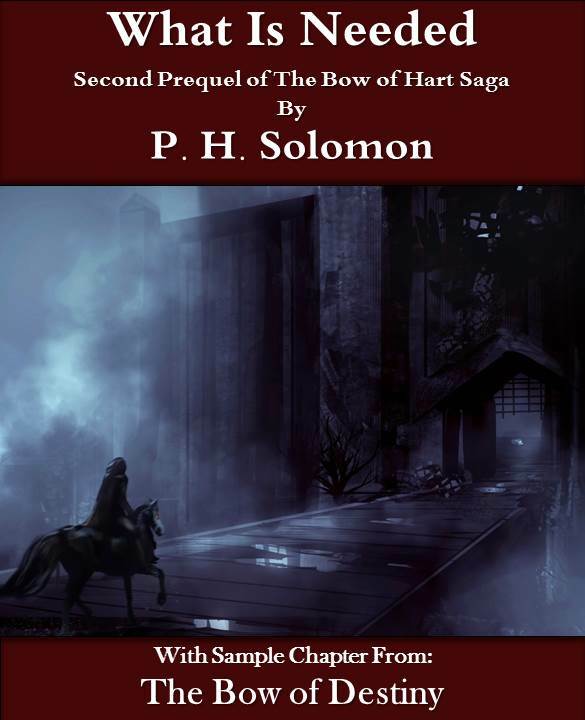 Athson is drawn into a quest for the concealed Bow of Hart by the mystic Withling, Hastra, but Athson isn’t always sure what’s real and who his enemies are. With Kregen and Magdronu involved, Athson must face not only frequent danger but his grasp on reality and the reasons behind his tragic past. Chris Rawlins out of the UK designed the cover based on one of his own pieces named: Robin of Loxley. Once I saw the artwork my cover is based on I knew that was what I needed. Chris was spot on with the design based on my descriptions. I’m looking forward to working with him again. Tolkien heads the list but it also includes Patricia McKillip, Ursula K. Le Guin, Terry Brooks, Robert Jordan, Anne McCaffrey and many others. Write like mad to get the rough draft out. Then make structural changes, followed by my editor’s structural changes. Then it’s onto nitty-gritty editing until the manuscript is ready for beta reading. Wherever my laptop lands – it’s my mobile office. A little of both. I like a fluid, creative outline (not the structure kind from school, it just doesn’t fit fiction). An creative outline allows for easy changes. Likewise, Scrivener is a great way to outline too since you can make structural changes easily. Armor by John Steakley or Mythago Wood by Robert Holdstock – both are very under-read and under-valued books that very good and I highly recommend them. Actually, my dogs inspired Spark. The Outer Hebrides Islands, The Galapagos Islands, Budapest and, well, all the parts of Europe I haven’t been to yet. Scottish is a fun-sounding accent but I’d really like to speak Gaelic. 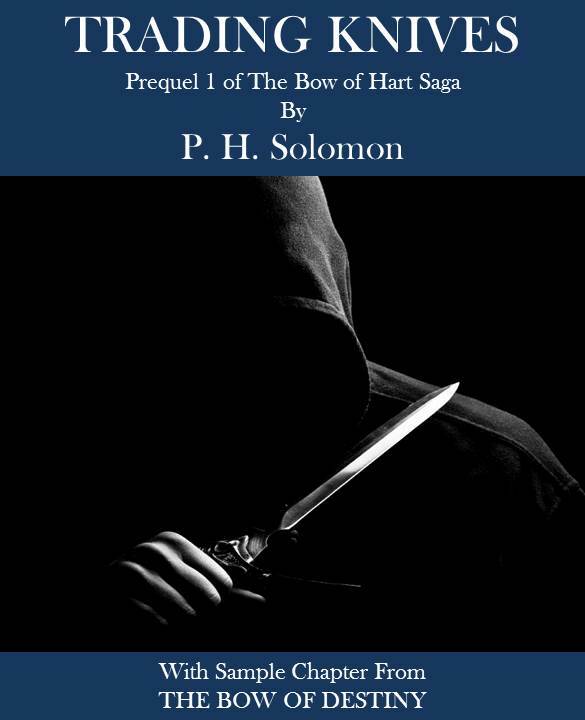 Book 3 of The Bow of Hart Saga: The White Arrow is due out Fall of 2016. Great interview! Of course, I’m a fantasy addict. I was particularly interested in how you chose your cover and how you write. I also like it that you rejected a publisher. I did that, too, because the rewards can come at too high a price. All of your books look excellent!